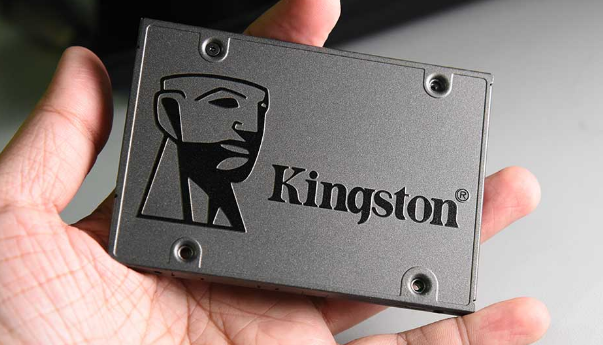 This Kingston A400 SSD Review ( 120GB + 240GB ) covers everything about this SSD. The Kingston A400 SSD 120GB SATA III is an admirable SSD to boost your old computer to perform like a new one. It exceptionally improves the speed and performance of your system. It helps your system to boot up in seconds and load files in moments which saves your time and very useful to increase your productivity. It is built with the latest 3D TLC flash technology along with the newest generation 2Ch3 controller for providing the 500MB/s reads and 450 Mb/s writes speed. It performs 10 times faster than the normal computer’s hard drive. With the SATA III 6 GB/s interface, it allows multitasking without reducing the speed and performance. It will make your computer system reliable and quicker than most of the SSDs. It renders the great 4K random read and writes speed. It means that your system accesses smaller files excellently at a top speed. This 4k random speed helps you when you need to do multitasking or you want to use this drive as your operating system drive. The Kingston A400 SSD will not just increase the speed or performance, but it can also give a new life to your old computer system. It is constructed with flash memory and includes no moving part which lessens the chance of failure than a normal hard drive. It is a reliable and durable drive, as it is cooler and quieter & it is shock and vibration proof. This makes it attractive for notebook laptops and other slim and small computing hardware. With a 7mm 2.5 inches form factor which can be fit in various computer systems. It is favorable for slimmer systems like laptops having limited storage capacity. It will allow you to store and retrieve applications, photos, videos, and other useful documents in it with a high speed. It includes a Kingston A400 120GB SSD in the packing without any other accessory. SATA III 6 GB/s interface. 10 Times faster than a hard drive. Rugged and sealed for shock and vibrations. Thin and small design to make it best for slim systems. Rugged reliability and highly durable. The Kingston A400 SSD 120GB SATA III is a wiser choice as it has a perfect ratio of price and performance. It provides super-fast speed and great reliability. It boost your computer system with the exceptional speed and responsiveness. It lessen the boot up and application loading time to ensure the top quality and increased productivity. It delivers 10 times faster transfer speed than a normal hard disk drive. It consumes low power and make no sound. Overall, it is the fastest and cheapest drives in the market. A perfect Solid State Drive who wants to use SSD to boost the system with high speed at a low price.